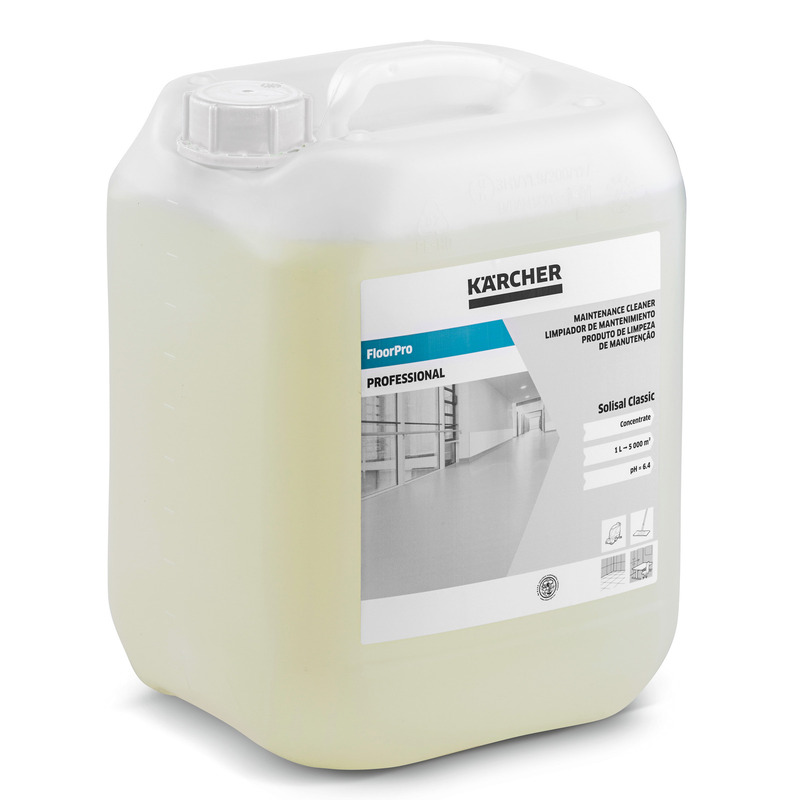 FloorPro Maintenance Cleaner Solisal Classic 33340220 https://www.kaercher.com/no/professional-rengjoeringloesninger/profesjonelle-rengjoeringsmidler-og-kjemi/reinigungsmittel-professional/gulv/hverdagsrengjoering/floorpro-maintenance-cleaner-solisal-classic-33340220.html Solisal neutral universal cleaner for manual and mechanical cleaning of all types of water-resistant floors and surfaces. With a pleasant fresh citrus fragrance. Solisal neutral universal cleaner for manual and mechanical cleaning of all types of water-resistant floors and surfaces. With a pleasant fresh citrus fragrance. P102 Oppbevares utilgjengelig for barn.